Youngest brother Nick's wedding provided an opportunity to visit three more of the United States. First stop was Kansas. 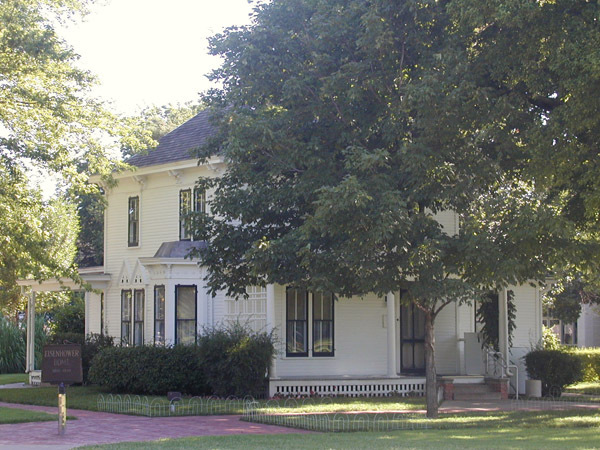 Having an interest in World War II, I decided to visit the boyhood home of Dwight D. Eisenhower in Abilene, Kansas. 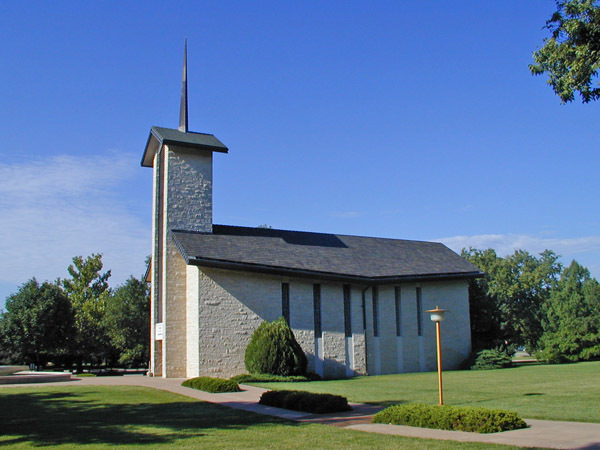 He, his wife, and a son are buried in the building to the right. To the left is the home in which Eisenhower grew up with his parents and a brother. 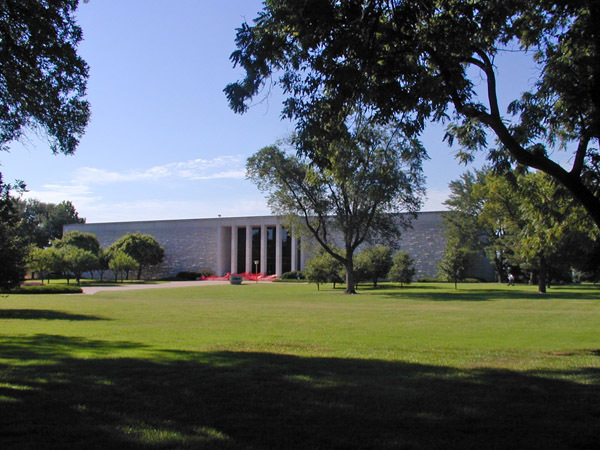 This is the Eisenhower presidential library. There was some construction going on in front of the building and thus the orange barrier you can see. I next drove to Hutchinson for the wedding. After that, the next stop was Omaha, Nebraska.